The Guide updates reach the Dave years. Craig's latest compilation album, just in time for Christmas! &##268;ervený trpaslík XI and XII make their debut! 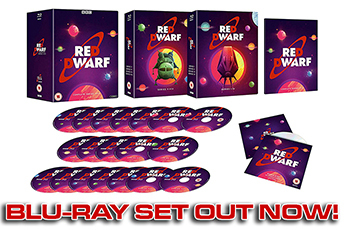 Stock up on Red Dwarf goodies and gifts for Christmas! Catch up with Craig's live shows up to the end of 2018! Get a look at the Series I-VIII Blu-ray box art! How Danny's getting on so far - and how to vote for him! Blu-ray boxset held back to 2019. Anniversary Fan Club Convention is go! 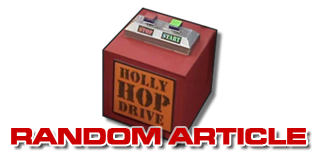 Twenty-five years since Red Dwarf VI! Craig Charles' latest poetry extravaganza. Danny's dancing and Robert's writing - both on the way imminently! Thirtieth anniversary Dimension Jump adds Craig, Chris and Doug! 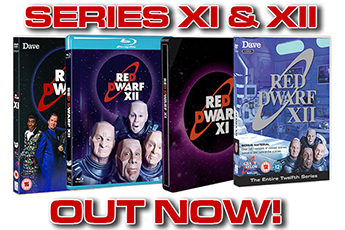 Kit yourself out with the best gear from the official Red Dwarf shop!